As the boat pulls into the picturesque town of Bellagio, you simply cannot tear your eyes away from the opulence of the Grand Hotel Villa Serbelloni. 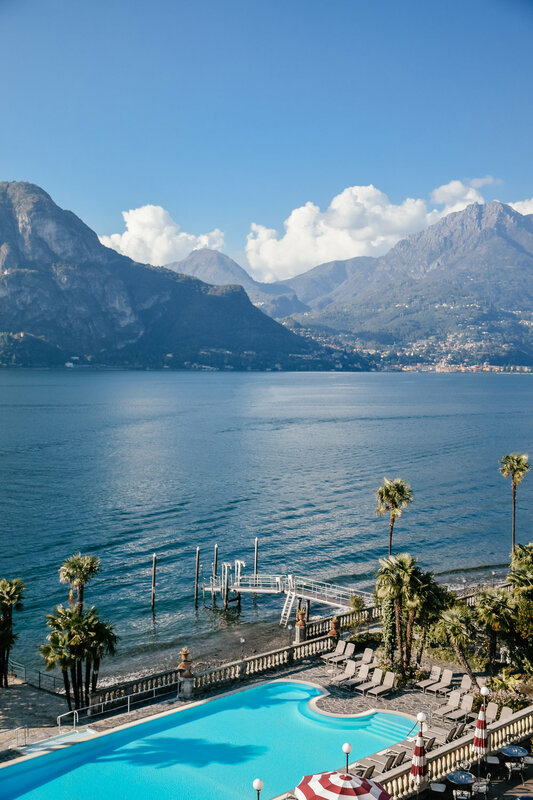 Recognised as one of the most prestigious and exclusive hotels in the world, the Grand Hotel Villa Serbelloni is the only 5-star hotel in Bellagio and is a mere stroll away from the lively hubbub of Bellagio’s restaurant and boutiques. This distinctive landmark lies on the shores of Lake Como, in a prime position on the promontory of Bellagio, which splits the lake into two branches. This Neo-classical hotel was originally constructed in 1852 as a luxurious holiday villa for an aristocratic Milanese family, and opened as a hotel some twenty years later. The interior reflects the superb taste loved by the wealthy nobility of the time: its walls and ceilings are adorned with frescoes and paintings of mythological scenes, gilded frames, festoons, temples, flamingos, and Pompeian reds. You can’t help but be completely enthralled by the period wall coverings of French style; the antique Persian carpets, the Murano crystal chandeliers, the Imperial furniture, and the neo-classical and Art Nouveau style; not to mention the marble staircases, the stucco work columns, and the impressive trompe l'oeil. It’s no surprise that the Grand Hotel became a chosen destination for many illustrious guests, including royalty, aristocrats, figures of international politics and, movie stars. It has accommodated the Sovereigns of Spain, Romania, Albania, Egypt; above all the Russian and English aristocracy; Winston Churchill, Roosevelt, the Rothschilds, J.F. Kennedy; Mary Pickford, Douglas Fairbanks, Maria Schell, Clark Gable, Robert Mitchum, Al Pacino – and these are just a handful of the famous guests who have relished in this luxurious hotel. We spent a mild October weekend in one of the beautifully appointed and uniquely designed suites, with views of the Lake and mountains that took our breath away. Everything from the high ceilings adorned with lavish frescoes, to the ornate white marble Art-Deco styled bathroom – the Grand Villa Hotel Serbelloni epitomises luxury. There are a variety of rooms and suites to discover. Some rooms have a gorgeous lake view whilst others overlook the serene gardens of the Hotel. If you’re looking for a little more space, the Deluxe and Executive Rooms are an ideal choice, with the latter being slightly more spacious. For a special occasion, why not treat yourself to the Senior Suite, which has a separate living room furnished with stunning antique and inlaid wooden furniture. There are two restaurants within the Grand Hotel Villa Serbelloni. There is the Mistral Restaurant – an elegant Michelin-starred dining room embellished by frescoes, whilst serving a blend of sophisticated yet traditional Italian cuisines, all the while accompanied by lakeside views and a nightly-live stringed quartet. It is truly the most romantic setting. If you are after something slightly more laid back, there is the poolside La Goletta Restaurant, which serves light snacks and delicious Mediterranean and regional inspired dishes. Make sure you take the time to experience both; as they offer very different culinary experiences, and are assured to satisfy your Italian taste buds. 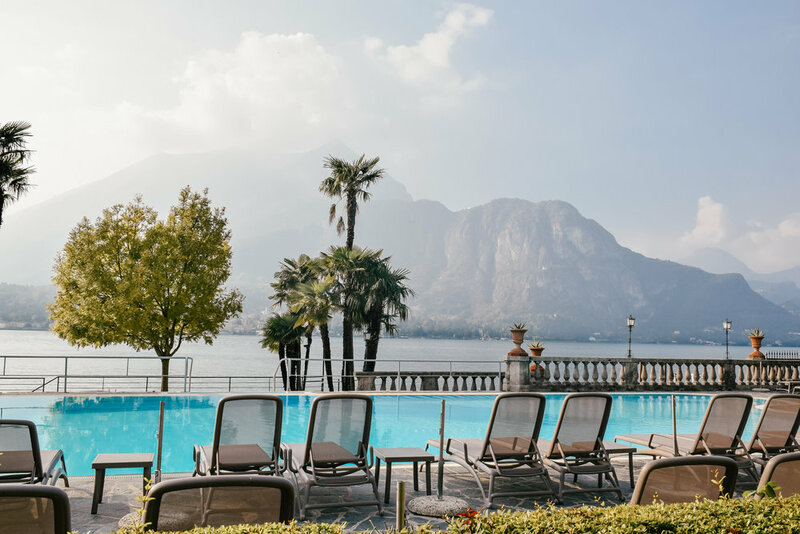 SETTING – Set amongst the splendid surroundings of Lake Como, where the blue waters meet the soaring Alps, guests can unwind and immerse themselves in most beautifully panoramic lakeside view beside the pool, or in the abounding manicured Italian-styled gardens. The Grand Hotel accommodates guests searching for peace and quiet, and also those who rather to set off from the private dock for a speedboat trip to discover the various nearby lakeside towns. STAFF & SERVICE – The service is unrivalled, with professional and welcoming staff at the reception and throughout all restaurants. FACILITIES – The Grand Hotel has exceptional facilities, including an inviting outdoor lakeside pool with a private beach and jetty. Nestled amongst the gardens is a large pavilion housing a gym with Technogym equipment, a Pilates room, a sauna, steam room and squash court. Inside you will find Spa Serbelloni which offers a range of treatments as well as an indoor pool, Turkish bath and a sauna. Visit https://www.villaserbelloni.com/ to check their availability or visit their Instagram @villaserbellonibellagio. I was hosted as a guest of the Grand Hotel Villa Serbelloni, but all the opinions expressed in this article are, as always, my own.